GM-EMD GP9 No. 503 (ex NW765), at State Line Tower, Hammond, IN., July 1972. 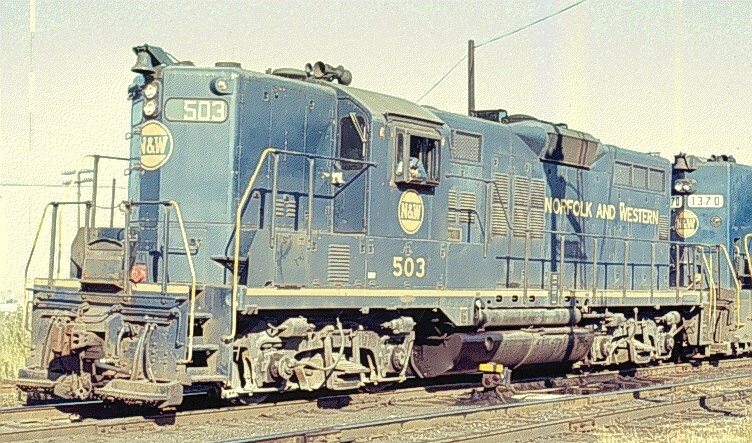 This is one of the 500-521 series of passenger GP9s owned by the N&W.